Media companies including the New York Times and CNN are pulling out of a Saudi investment conference because of growing outrage over the disappearance of a prominent Saudi journalist in Turkey. British billionaire Richard Branson has also announced that his Virgin Group would suspend its discussions with Saudi Arabia's Public Investment Fund over a planned $1bn investment in the group's space ventures in light of events involving Jamal Khashoggi. "What has reportedly happened in Turkey around the disappearance of journalist Jamal Khashoggi, if proved true, would clearly change the ability of any of us in the West to do business with the Saudi government," Branson said in a statement on Thursday evening. The veteran Saudi journalist, 59, has been missing since last Tuesday when he entered the Saudi consulate in Istanbul to obtain paperwork so he could remarry, and has not been seen since. 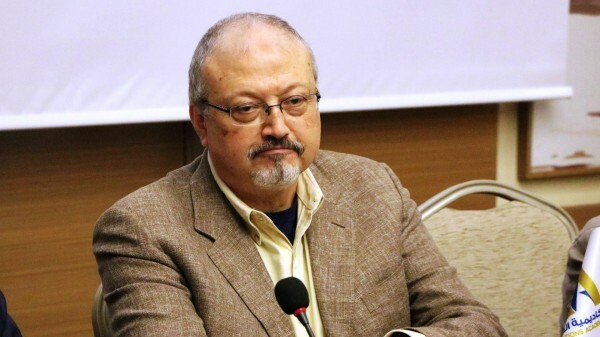 Turkish officials have told Middle East Eye that they know when and where in the building the veteran Saudi journalist was killed and are considering whether to dig up the consul-general's garden to see whether his remains are buried there. Saudi officials have strongly denied any involvement in his disappearance and say that he left the consulate soon after arriving. However, they have not presented any evidence to corroborate their claim and say that video cameras at the consolate were not recording at the time. As leaks have emerged, focus has turned to the kingdom's high-profile Future Investment Initiative conference, scheduled to be held in Riyadh later this month, with a handful of participants pulling out of the event over the past 24 hours. Among those who have said they will no longer participate are Economist editor-In-chief Zanny Minton Beddoes and Andrew Ross Sorkin, a CNBC anchor and New York Times business journalist. The New York Times, CNN, Financial Times, CNBC and Bloomberg have pulled out of the event. Fox Business Network is still slated to appear at the event, according to the event website. Uber Technologies Inc chief executive officer Dara Khosrowshahi said in a statement he won't attend the FII conference in Riyadh unless substantially different set of facts emerge. Arianna Huffington, who sits on Uber's board, has also reportedly said she will no longer attend. Viacom Inc CEO Bob Bakish, who was slated to speak at the conference, has decided to not attend the event, company spokesman Justin Dini said. The FT reported that Jim Yong Kim, president of the World Bank, has pulled out of attending the conference.